Ross & Cromarty Roots | Norman Mackay. 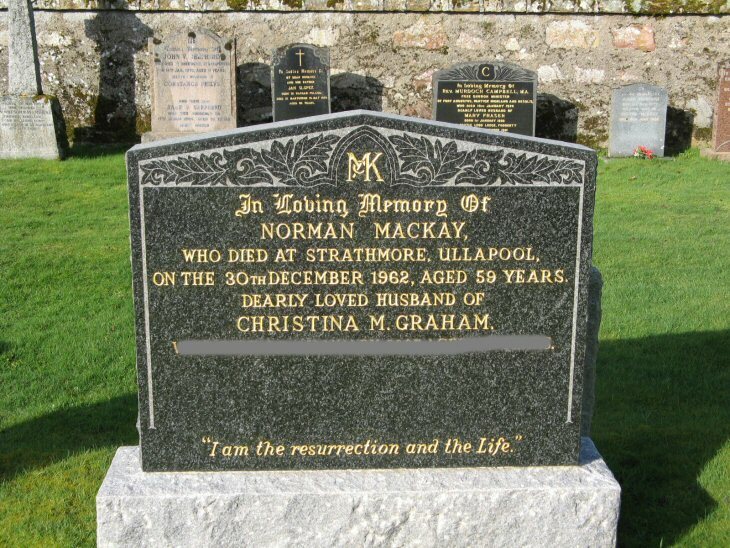 In loving memory of/NORMAN MACKAY/who died at Strathmore, Ullapool/on the 30th December 1962, aged 59 years/deraly beloved husband of/CHRISTINA M. GRAHAM/["recent"]. Picture Added on 25 June 2009.